Harris Windows provide a wide range of Upvc products for your home. Windows, Doors, Conservatories and Sunrooms. Established in 1996. Harris Windows supply and install the extremely well respected Spectus Profiles which are made to suit your style. 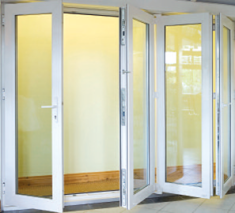 From French, to Bi-Folding, to Patio doors, we have a wide range available for you to choose from. Extend your living space or bring the garden into your home with a Harris Windows Conservatory. Harris Windows are Registered Guardian Sunroom installers, add value to your home with a beautiful sunroom extension. Please call us on 051 841988 now to get more information on any of our products, or for an estimate on your upcoming project.